If you’ve never been to the Philippines, then you are missing on quite a whole lot of fun. When you visit this lovely country, you will be very pleased with what you have waited years to finally discover. One of which is the Philippines’ rich culture and food. 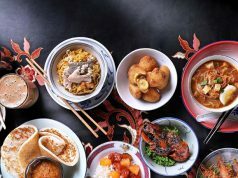 Not only have Filipinos kept their rich culture up and going, but the food in the Philippines will definitely leave you wanting more. 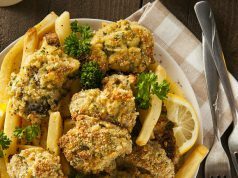 Skipping all the other detials that will make you go nuts and hungry, the Philippines offers a variety of dishes and desserts that you will only find here in the gorgeous islands of this country. One of which is the dirty ice cream, which is one of my favorite delicacies that you can find in the Filipino streets. The so-called dirty ice cream is not at all dirty. In fact, it is quite as refreshing and invigorating as the regular ice cream you can buy from supermarkets. The catch is, these dirty ice cream are being sold in streets. Yes, that’s right. Most vendors even go to houses with their bicycle carts, selling their ice cream from door to door. As soon as the kling kling of the ice cream bell goes off, the children will come running outside their houses to buy themselves some ice cream. Dirty ice cream would available in different sizes as well. Ice cream in small cones would be the cheapest, ranging from only 5php to 10php. You can ask the vendor to sell you ice cream in a cup or in a huge cone as well. These servings would range from 15php to 20php. 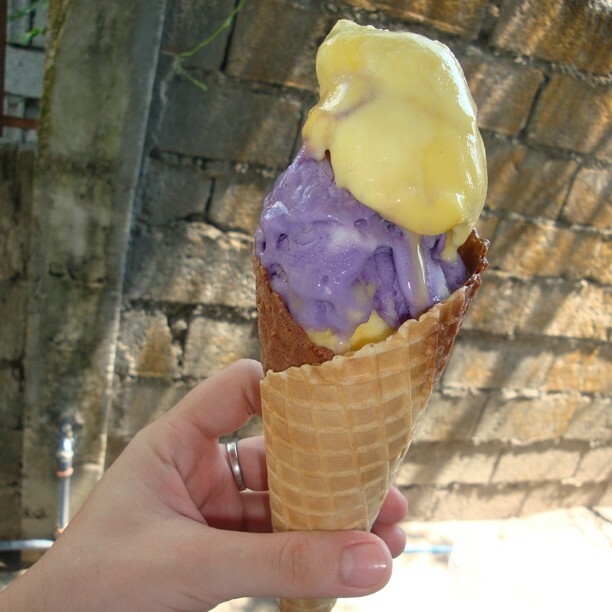 Most ice cream vendors sell their ice cream in a variety of Filipino flavors such as keso (cheese), ube (purple yam), tsokolate (chocolate) and even mangga (mango). Who wouldn’t go running outside their houses for ice cream? These days, you would hear the dirty ice cream bells everywhere in the Philippines as the temperature has been constantly dropping and summertime has begun to go deeper and deeper by the minute. No wonder people have never stopped raving about dirty ice cream since. Friends would even come knocking at my door to ask me if I have already had my dirty ice cream dose for the day. It is quite hot lately and the sun never seemed to have stopped shining since day one of summer. As for me, I better have my share of fun and enjoy my lovely dirty ice cream at hand. I can never get enough of this. Summer really is more fun in the Philippines! Cheers!